So I went and voted in Illinois’ primary. For the Republicans, we have the candidates themselves, and then 2-4 delegates in each Congressional District. Mine has three. Then there are also three alternate delegates and other offices that are up for the primaries too. Voting for the candidate means nothing on the Republican side. Just the delegates that are pledged to the candidates count. So, I voted for Fred Dalton Thompson as a candidate and voted for Mitt Romney’s three delegates and alternate delegates. And it’s Paczki Day! (Poonch-key). A fried dough filled with fruit or custard and dusted with powdered sugar. 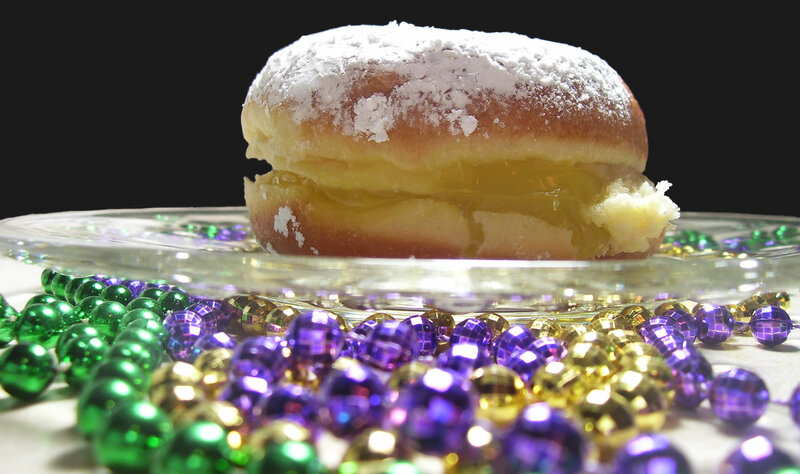 Paczki are made to use up the last of the lard, fruit, and sugar before Lent. Tomorrow is the beginning of Lent, the Lenten season encompassing both St. Valentine’s Day and St. Patrick’s Day this year.